I decided early this week that I needed to actually try some of the million Halloween fun ideas that I pinned. All of them turned out decently except the witch broomsticks because I didn’t tie them and the cheese breaks. The ghosts had straws as sticks because I couldn’t find our popsicles sticks anywhere – they weren’t very steady, but they were still yummy. Not pictured because it was too late when they were done and I didn’t have any more light: mummy dogs (hot dogs wrapped in crescent rolls + sprinkles for eyes.). A big hit! 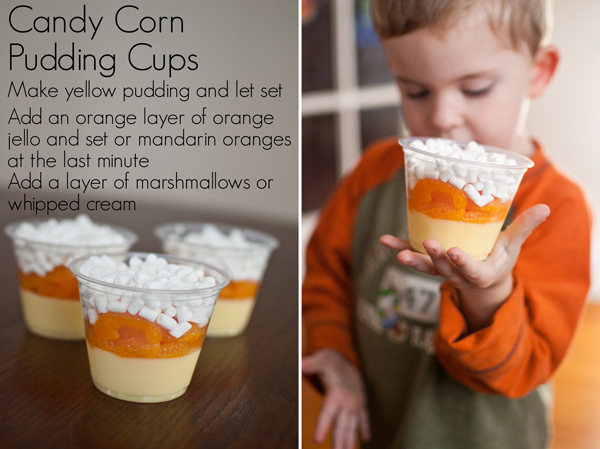 Still on the list to make in the next few days: monster cups (pudding with faces drawn on a clear cup + crushed cookies or sprinkled on top for hair) and Halloween popcorn – popcorn with melted white chocolate + choco and/or butterscotch chips + Halloween color sprinkles all mixed in. Ha I love the teeth! Brilliant! Love these! 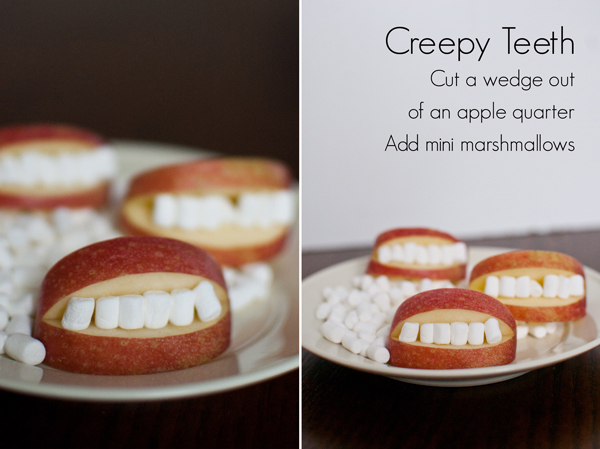 I must make the apples with teeth and mummy dogs for my little ones. They would think that’s hilarious! 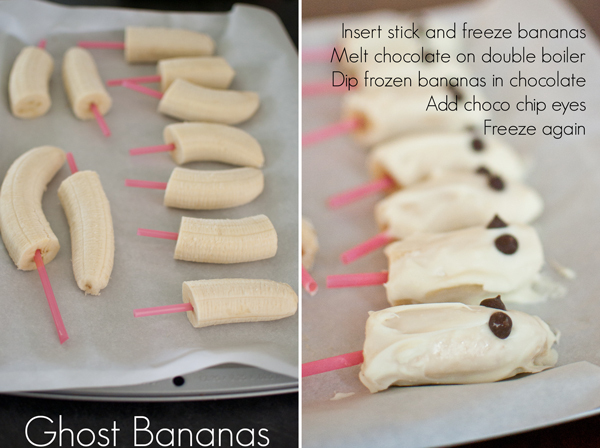 I can’t let my kids see this post… one more reason for them to wish they’d had a different mom! So creative and beautiful… can’t wait to see their costumes! Fantastic Lilian! an established blog. Is it toug to set upp your own blog? I’m thinking about creating myy own but I’m not sure where tto begin. Do you have any ideas oor suggestions? just seems like the first 10 tto 15 minutes are wasted just trying to figure out how to begin. Any ideas or hints?